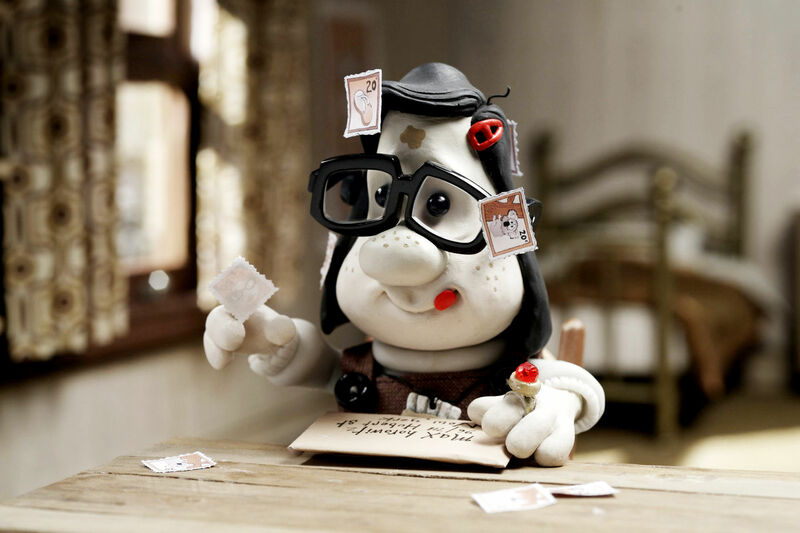 Separated by continents, by decades of age, by gender, by ethnic background, by religious upbringing, the eponymous characters of Mary and Max—an eight-year-old Australian girl and a forty-four-year-old morbidly obese atheist in New York—should have as likely a chance of forming a life-long friendship as a clay-animation movie depicting this friendship should have a chance at being such an amazing piece of work. And yet, this anomalous movie forms a powerful, lasting impression: a poignant, and emotionally resonant exploration of human connection that flies in the face of standard storytelling conventions and works in superb fashion on every emotional level. The story focuses on the unusual friendship formed by two misfits trapped in hellish domains that are as distant geographically, as they are psychologically similar. A narrator first introduces Mary: an eight-year-old Australian girl living an isolated existence amongst an alcoholic mother, depressed father, and unable to make friends after being relentlessly mocked for a brown birthmark across her forehead. Peppered with an assortment of distinct, creative character traits that help compose a portrait of Mary’s upbringing in compelling and memorable fashion (her love of concentrated milk, Australian chocolates, a pet rooster, her unmistakable birthmark), Adam Elliot’s writing immediately hypnotizes the viewer through a confident and peculiar tone that instantly announces that the following feature will be a ride through tour-de-force storytelling. This precedent becomes further solidified in the next sequence, when the narrator introduces the second of the two titles characters: Max. After Mary has the bizarre idea to write to a random American she finds in the phonebook, she lands upon Max’s information and writes to the misanthrope in the hopes of finding answers to her everyday question about American habits. (In one of the few, and ultimately minor, weak moments of writing; however, this incredibly random way of initially connecting the two never sits quite right compared to the other surreal moments that flow much more organically). Max write back, although (even compared to Mary), he recounts an upbringing of heartbreaking consequence. Born to Jewish parents and raised in destructive circumstances (a father that left him, a mother that abused him, relentlessly bullied for his Jewish upbringing), Max has aged into a man sharing a parallel existence of isolation as Mary. He is depressed, agoraphobic, anxiety-ridden, extremely overweight, and on the verge of mental collapse. Immediately, as the premise suggests, the idea of life being rekindled by their friendship has the potential to be an opportunity for cloying, indulgent sequences that resolve these existential problems through predictable, indulgent, or manipulative storytelling methods typically applied in the world of commercial animation…But that is not Mary and Max. 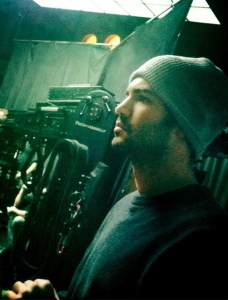 Instead, filmmaker Adam Elliot eschews such expectations by taking the story into difficult, ambiguous, and often very dark places. Moreover, this friendship goes through ups-and-downs, over long periods of time, that chart the successes and descents of both characters’ emotional lifetimes to imbue a feeling of raw authenticity. Max is eventually revealed to be suffering from an acute form of Asperger’s syndrome and his struggle to relate to the larger world around him descends into touching and moving realms that never treat his illness as a sideshow attraction (e.g. Rain Man) but as a means of imbuing insight and point-of-view to the audience into how this man has succumbed to such a devastating, hermetic lifestyle. Additionally, the use of voice-over vis-à-vis the narrator, then the letters between the characters, may appear gimmicky on the surface, but the technique is used to exemplary effect as a means of further immersing the audience into the characters’ heads. With Barry Humphries as the narrator, Toni Collette as older Mary, and the late, great Philip Seymour Hoffman as Max, the trio form a unified sense of tone that successfully transports the viewer into specific moods and habits of the characters in question. Although some stretches certainly resonate stronger than others, the movie remains compelling in its entirety. The epistolary format feels closer to chapters of a novel than a typical film plot, and certain digressions into various aspects of the characters’ psyche help further demonstrate how character-driven this story remains above all else. Though numerous plot set-ups are paid off to powerful effect by the conclusion, the two title characters remain at the film’s center in a commendable application of the medium’s capabilities. The film confronts a number of formidable topics—abuse, mental illness, loneliness, suicide, depression, anxiety—without ever being shackled by the intensity of these themes and never flinches from the severity of their consequences within its Claymation setting. 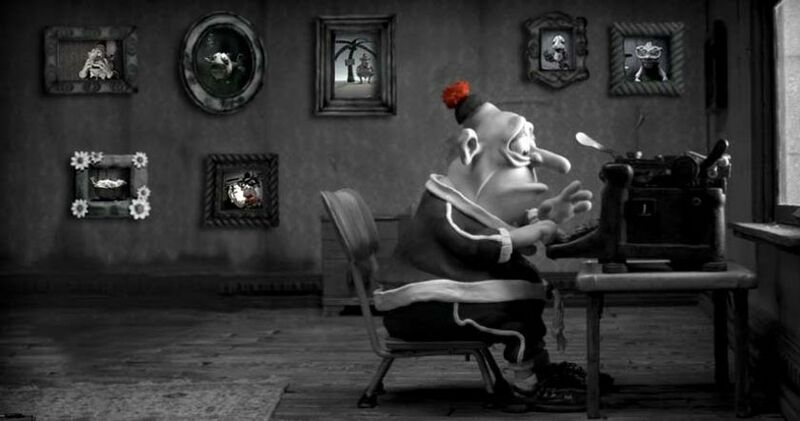 By its finale, Mary and Max concludes in similar, applause-worthy fashion. An ending both ambiguous and honest without any hint of dishonesty or undeserving of its ability to evoke such charged, wide-ranging emotions. Though operating with very different intentions and styles, the films of the Quay Brothers, Ralph Bakshi, or Miyazaki may bring to mind similar filmmakers hoping to expand the horizons of animated potential. 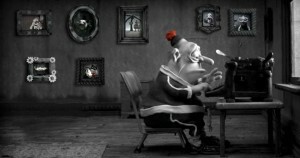 Still, Mary and Max remains in a class as unique as the characters of its premise. A movie that sidesteps obstacles of conventionality and succeeds for finding that human connection between different worlds to ignite a genuine bond between both the characters and the audience. This entry was posted in Film Criticism and tagged Film Criticism on January 26, 2015 by Nick Yarborough.